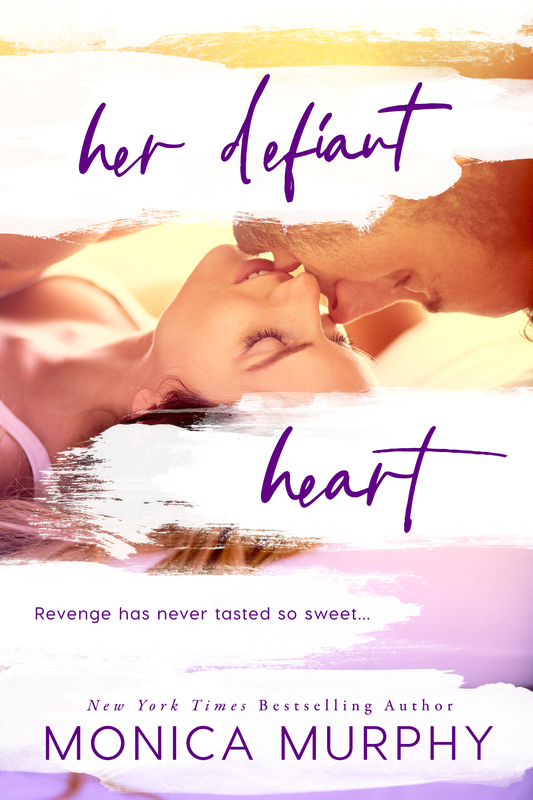 Her Defiant Heart is the first book in a trilogy and is a genre step for Monica Murphy as she tackles, once again, New Adult Contemporary Romance. 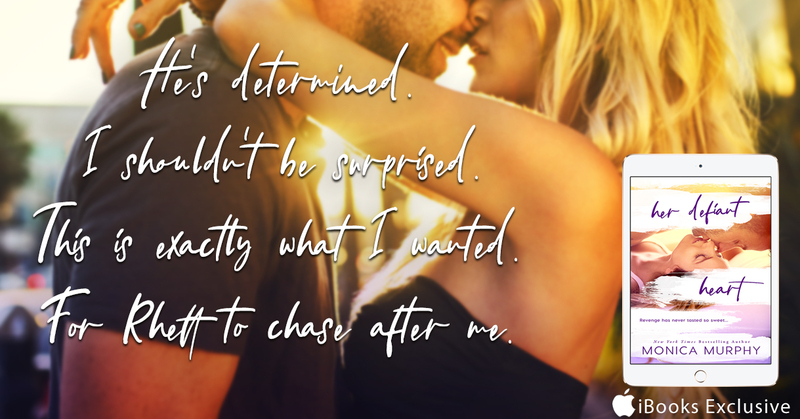 I love this authors YA books and I couldn’t wait to dive into something a little hotter and Monica Murphy didn’t disappoint. Jennifer Fanelli uproots her life with one thing in mind…revenge, but is revenge a dish best served cold? Deserted by her mother as an infant and with her father passed, Jennifer is all alone in the world, but the woman that deserted her is living the high-life with a whole new step-family. To wreak the revenge she wants, Jennifer decides her best course of action is to get close to one of her mother’s step-sons, but she didn’t bet on Rhett Montgomery. Nothing she expected or ever knew she wanted. Rhett Montgomery, not the frat boy that everyone expects. He has the perfect façade for his friends, but when he meets Jennifer a totally new side is exposed, and Jennifer is not immune to his charms. Rhett is still deeply affected by the death of his mother and it is something that he has never got over, despite his step-mothers attempts to charm him and raise him. Rhett was totally smitten with Jennifer, extremely protective and these two just got along. But, Jennifer is not from the affluent lifestyle and the choices she makes just to survive, may come back to bite her, in more ways than one. This was a great start and really sets the tone for what is to come. This book read really quick, I’m not sure what the page count is, but I just felt I needed more at the end, to really understand these characters and achieve that character connection that I crave. I wanted a little more depth to them. This may come as the trilogy progresses and I can’t wait to read the next one to see what happens between these two.